If you are planning to start your own business in Hawaii, or if you want to expand your current business, an experienced and knowledgeable business law attorney can help expedite the process and ensure your success. The lawyers at Craig T. Kugisaki Attorney at Law assist individuals and businesses of all sizes with a full range of legal services, including: -Commercial and civil litigation -Business formation and advice -Due diligence -Financial investment counseling -Contract review and development -Breach of contract -Buy and sell agreements -Shareholder disputes With more than 35 years of industry experience, this firm is well prepared to handle business legal issues of any size or complexity. If litigation becomes necessary, they work tirelessly to defend your rights in court and provide the best possible results for your case. Realizing your business dreams A focus of the firm is helping clients start their own businesses. Craig T. Kugisaki Attorney at Law reviews your business plans and advises on issues involved in business formation and maintenance, including potential liability, corporate entity formation and tax structures. Once your business has been established, they continue to help it grow by advising on insurance coverage, investment strategies and corporate compliance issues. They also look after your best interests by finding strategies to limit your personal liability and increase your bottom line. Helping business owners move forward The attorneys at Craig T. Kugisaki Attorney at Law work closely with business owners to ensure businesses run smoothly. They often negotiate and draft contracts and buy-and-sell agreements, assist with corporate compliance measures and tax filing, and represent businesses in shareholder disputes and commercial litigation cases. They are also seasoned negotiators and litigators and know how to best represent your financial interests, successfully resolving your issues in the boardroom or the courtroom. Hawaii State (Member, Committee for the Mediation/Arbitration of Fee Disputes) and American Bar Associations; Defense Research Institute. Deputy Attorney General, 1979-1981. Alternate Delegate, Hawaii State Judicial Conference, 1992. 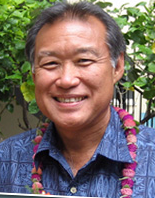 Arbitrator, Hawaii Court Annexed Arbitration Program. Kaeo vs. Davis, 68 Haw. 447, 719 P.2d 387, 1986; Kaczmarczyk vs. City and County of Honolulu, 65 Haw. 612, 656 P.2d 89, 1982.